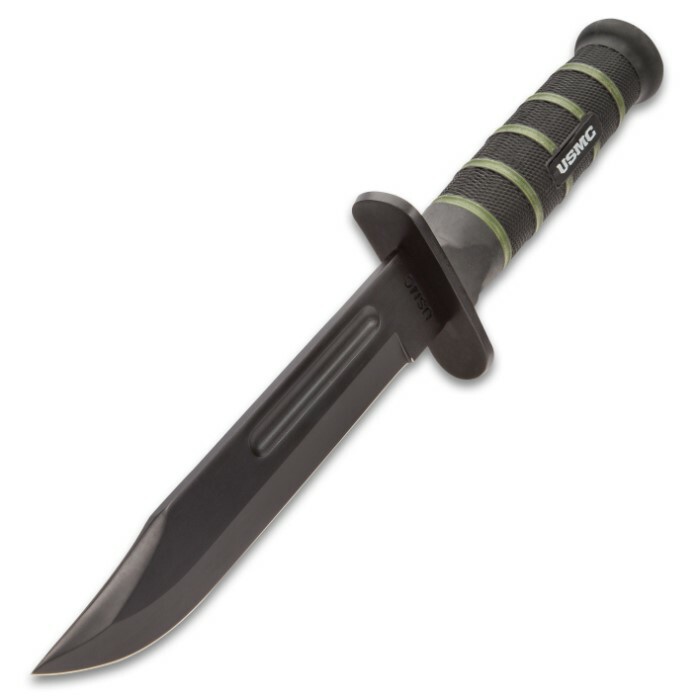 USMC Blackout Fighter Knife And Combat Sword Set - Stainless Steel Blades, Rubberized Handles, Nylon Sheaths, Glass Breakers | BUDK.com - Knives & Swords At The Lowest Prices! 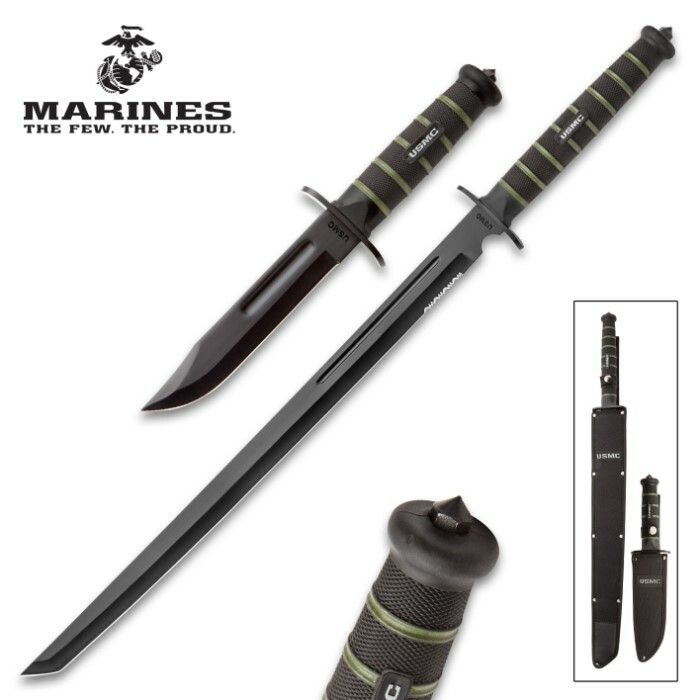 Expertly fusing tradition and innovation, the officially licensed USMC Blackout Fighter Knife And Combat Sword Set is an undeniably modern take on two iconic, time-tested USMC fixed blade designs. 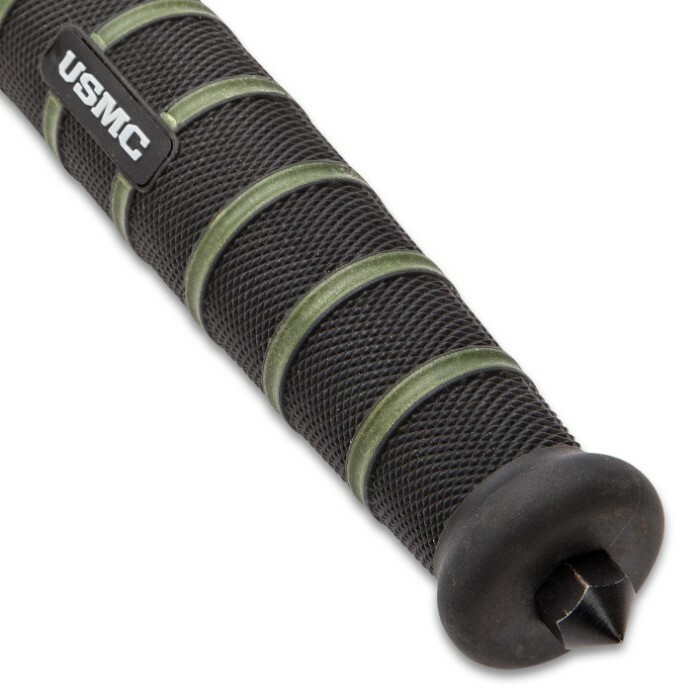 These contemporary versions retain the reliable construction, savage performance and outstanding feel that made the leather-stacked originals so sought after by Marines during WWII and so beloved by all cutlery fans ever since. Design updates and cutting edge materials make this set especially well-suited to the unique demands of the present-day battlefield. I bought one and it arrived in less than a week with std free shipping. After examining the set I ordered two more as birthday presents for my sons. They are both over 35. 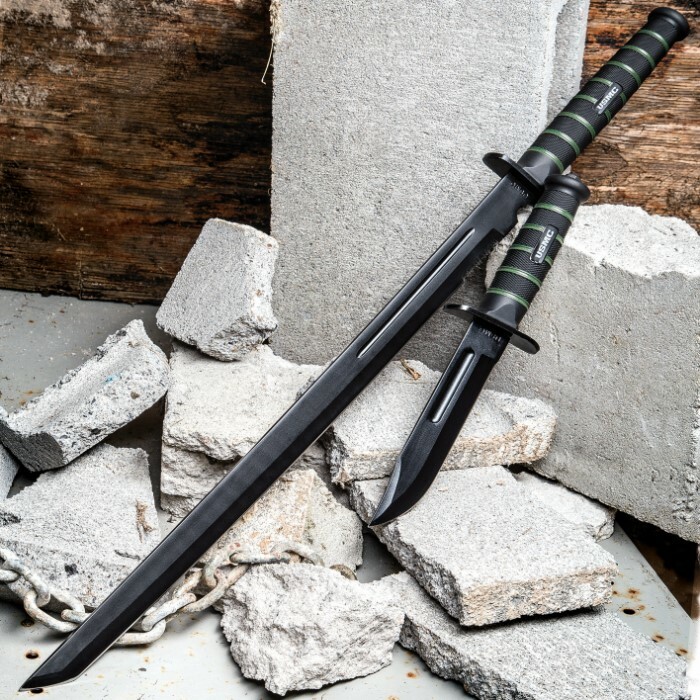 The short sword has some flex. I haven't tried to break it but it appears to be very tough, The grip is OK with one hand and there is room for two hands. 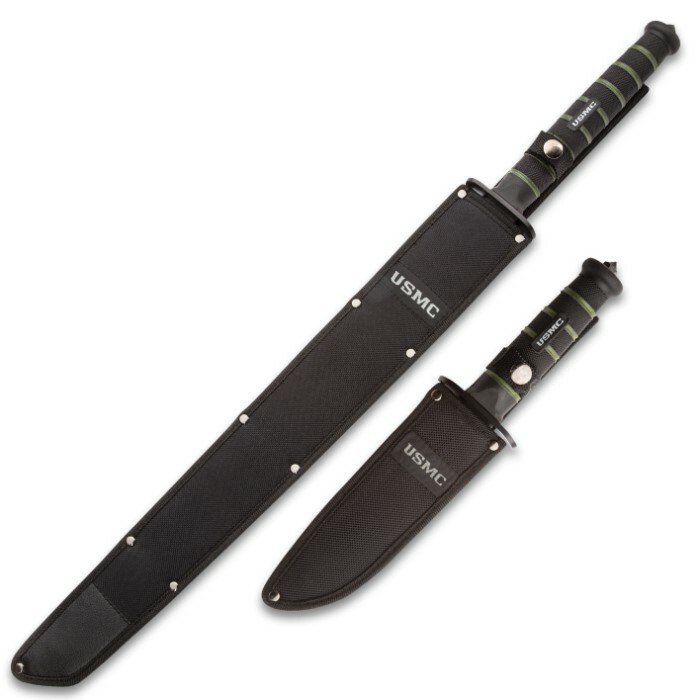 I have sharpened the knife and the steel seems to be hard and the edge seems good. I used a diamond coarse and fine 6 x1 " Well worth $30. BUDK has another winner.